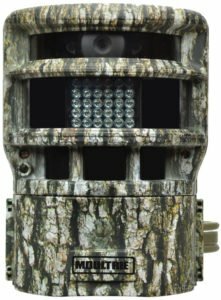 If coverage is your main concern when it comes to game cameras then the Moultrie PANORAMIC 150 might be just what you need. Its superior field of view puts a lot of other game cameras to shame, but you will have to decide whether this feature is worth the big jump in price that comes with the Panoramic 150. 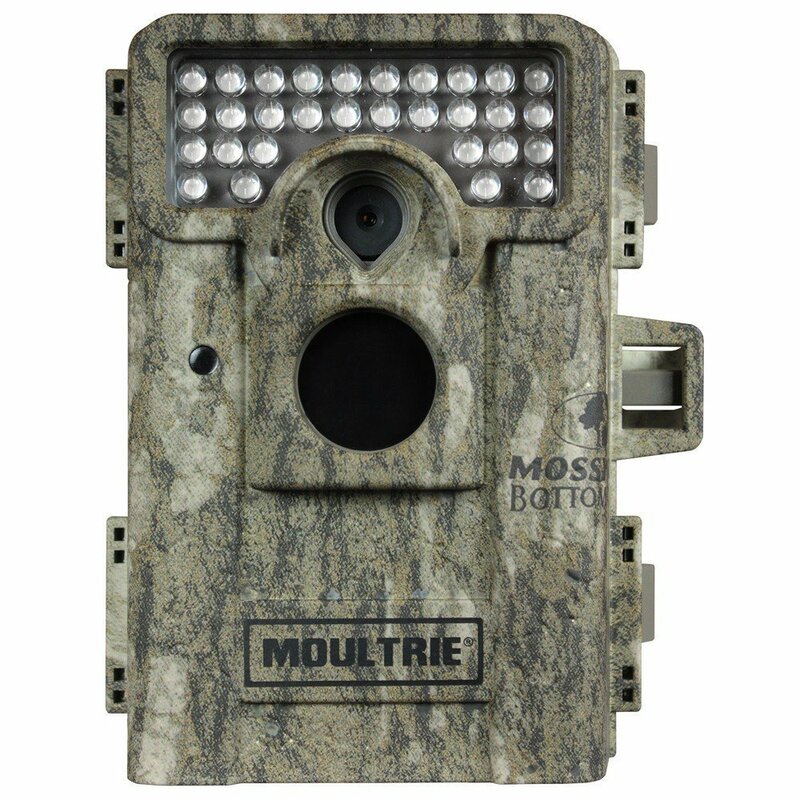 As with other products from Moultrie the design of the camera is pretty good and fairly durable. 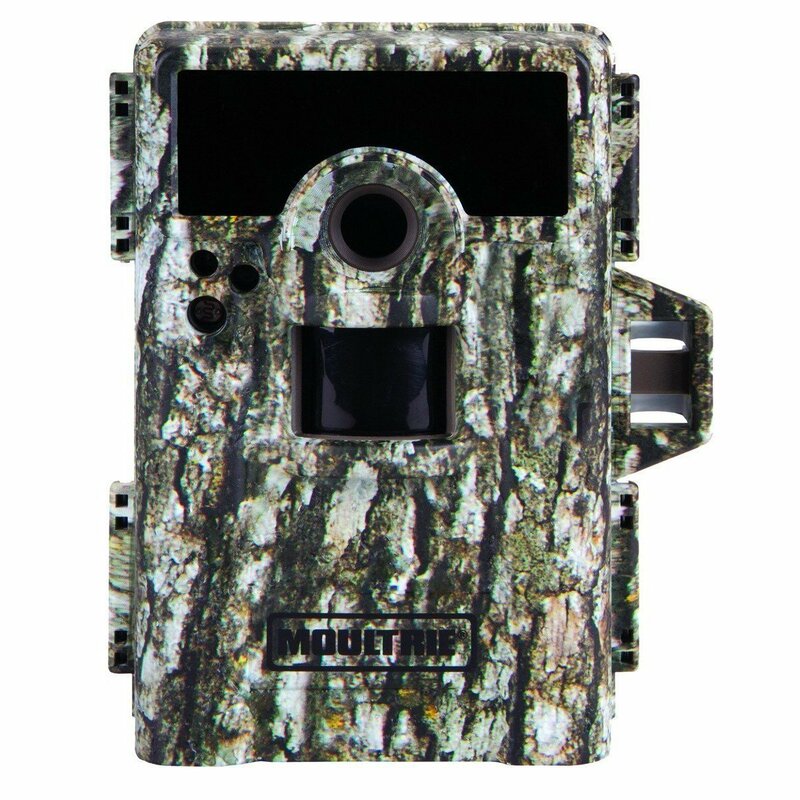 It is reasonably sized for what it is able to offer and thanks to the Mossy Oak Treestand Camouflage patter on the case it blends in well with the environment. The case is made from durable plastic and is weatherproof to improve the lifespan of the camera out in the elements. If you want to mount the camera using a tripod you can do so as the case has a standard mount on the bottom and back. The more secure option is to strap it to a tee which you can do with the included nylon mounting strap. If you are really concerned about someone tampering with the camera the python lock compatible hasp on the side of the case will come as a relief. Like the M-880 the Panoramic 150 also features an optional security code that can be enabled to prevent anyone from changing camera settings should they get access to the case. Overall I was impressed with the design and sturdiness of the Panoramic 150 and how it is able to blend in seamless with the background. 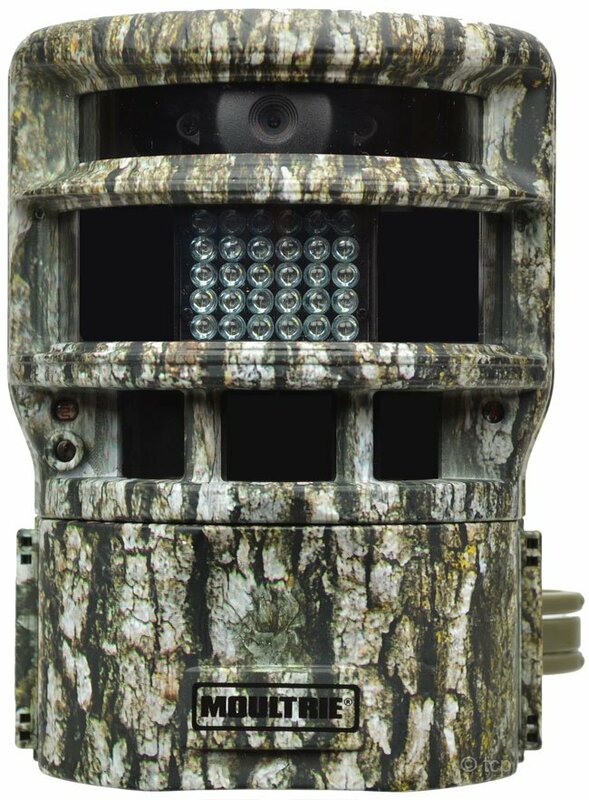 The Panoramic 150 runs on 6 C-cell Alkeline batteries, which according to conservative estimated by Moultrie should be able to provide you with about 9000 images before running dry. Of course, the actual results will depend largely on what user settings you have enabled and what the weather conditions in the area are. If battery life is a concern you can also use the Panoramic 150 with Moultrie’s 12V DC external power sources to keep it running perpetually which is great for round the clock surveillance. For storage capacity the Panoramic 150 can handle SD cards up to 32 GB in size as long as they are Class 4 or higher. The LCD screen is fairly decent and can display two lines with up to sixteen characters. As the buttons on the front of the display panel are backlit you can adjust settings even in less than ideal light conditions. The selling point of this game camera is obviously the super wide panoramic field of view. The lens of the camera rotates slightly which allows it to capture panoramic photos or HD videos. Photos can be up to 8 MegaPixels or as low as 0.5 MP if you want to conserve space on the SD card. The camera can also record low VGA videos in 4:3 aspect ratio or medium 16:9 ratio. I wasn’t able to test of the field of view is truly 150 degrees, but it definitely looks like it comes close to that figure. Motion detection is handled by passive infrared motion sensors and these are trigged by heat and movement within a 45 feet range of the camera. What I like about the Panoramic 150 is that it can be set to multi-shot mode to take up to three photos in succession if any motion is sensed. When set to panoramic mode the camera takes three photos and then combines these into a single panoramic view. It can also be set to single mode where it only takes a photo in the position moved is sensed. In addition the Panoramic 150 has a timelapse mode which completely disables the PIR sensor and instead uses a countdown timer which activates during sunrise and sunset hours. The timer is adjustable and be set from one to four hours. You can also have the best of both worlds by using the hybrid mode which combines both the above modes. The Panoramic 150 is quite speed and it takes about one second to take a picture after the motion sensor is triggered. The flash on the Panoramic 150 has 30 LED lights which can provide illumination for up to 100 feet even in total darkness. While the field of view might not be quite as wide as advertised by Moultrie, although a firmware upgrade did improve it a bit, the Panoramic 150 is still a phenomenal game camera. Take a look at the long list of pros below and you will see what we mean. If you are frustrated with game cameras only providing you a glimpse of something, or worse yet, missing a shot altogether then the Panoramic 150 is the answer. With its wide field of view there is very little that can escape it, no matter how elusive they are. Of course, the wide field of view is going to be wasted if you plan on taking photos in areas with dense vegetation or other objects that will obscure the coverage. 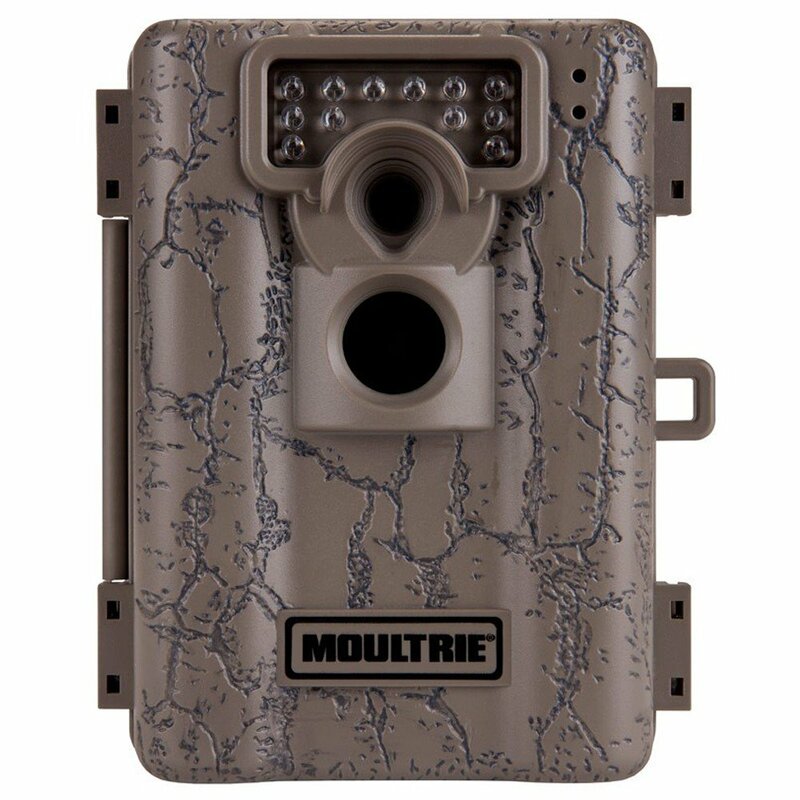 Also, if you are really particular about where your hard earned money goes be aware that there is an upgraded version, the Moultrie Panoramic 150i also available. If you find game cameras that only capture when the subject is directly in front of the camera too limiting then don’t hesitate to get the Panoramic 150. If you are used to game cameras that you stick on something and capture images with a static sensor the Panoramic 150 will be a revelation. Don’t blame us though if you found yourself wanting more than one of these cool pieces of equipment.